Perched on a hill overlooking San Francisco, the house was magnificent, built in 1923 by a wealthy man for the woman he adored. For her and for this house, he would spare no expense and overlook no detail, from the endless marble floors to the glittering chandeliers. Almost a century later, with the once-grand house now in disrepair, a young woman walks through its empty rooms. Sarah Anderson, a perfectly sensible estate lawyer, is about to do something utterly out of character. In a novel in which ancient traditions conflict with reality and the pressures of modern life, a young European princess proves that simplicity, courage, and dignity can win the day, and forever alters her world. Determined to make a difference in the world, she persuades her father to let her volunteer for the Red Cross in East Africa. Every woman makes choices. And no one has made more difficult choices than Olivia Grayson. The enormously successful businesswoman missed out on much of her children’s lives while she built her legendary home-furnishings empire. In Danielle Steel’s character-rich novel, Olivia faces the past, tries to balance the present and make amends where due, while still running her vastly successful business. As a way of making up to them for time lost, Olivia spends months each year planning a holiday that everyone in her family will enjoy. 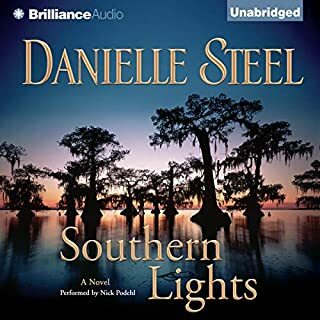 With wit and intelligence, Danielle Steel explores love in all its guises, taking us into the lives of three unusual but wonderfully real couples. One Day at a Time is at once moving, thought provoking, and utterly impossible to put down. Faith Madison has enjoyed the good life as the wife of a successful Manhattan investment banker and mother to two grown daughters. But every step of the way she has carried within her a secret she could divulge to no one. 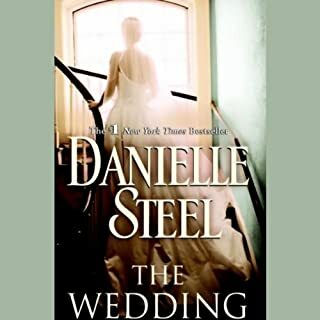 With unerring insight into the hearts of husbands and wives, lovers and families, Danielle Steel tells a moving story about the secrets that wound and the choices that heal. 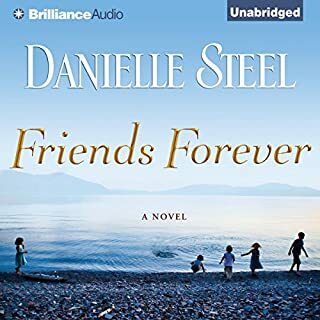 Against a glittering backdrop of celebrity and glamour, Danielle Steel digs deeper to tell a story of friendship and love, tragedy and second chances...of the choices and unexpected turns of fate that can shape characters and lives. Suddenly, four sisters who have been fervently pursuing success and their own lives reunite to share one New York brownstone, to support each other and their father, and to pick up the pieces while one sister struggles to heal her shattered body and soul. A bustling house is soon filled with eccentric dogs, laughter, tears, friends, men, and the kind of honesty and unconditional love only sisters can provide. But as the four women settle in, they are forced to confront the directions of their respective lives. 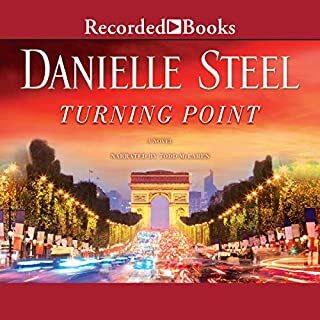 With unerring insight and compassion, Danielle Steel tells a compelling story of sisters who are irrevocably woven into the fabric of each other's lives. Brilliantly blending humor and heartbreak, she delivers a powerful message about the fragility and the wonder of life. 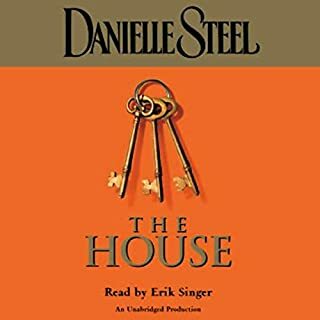 ©2007 Danielle Steel (P)2007 Random House Inc. Random House Audio, a division of Random House Inc. 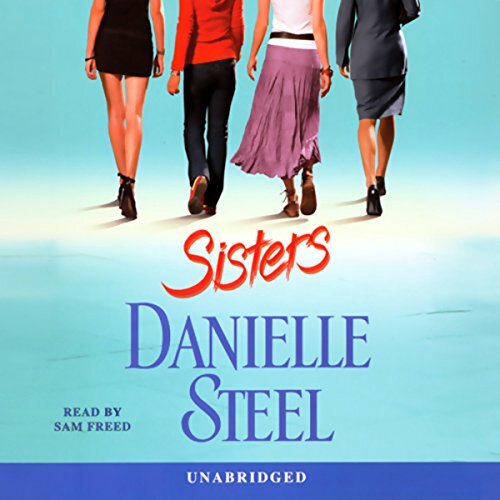 This audio book was wonderful, especially is you have sisters. Danielle Steel grabs you write into the book...Enjoy all its worth it. Okay, we buy her books to be entertained and to listen to a story that you know will always end up okay. That is exactly what you get with this. I would like to hear a D.S. novel narrated by a woman one day, I get tired of hearing the men's voice for her books, especially since her main characters are always women. As I listened to this book at times tears rolled down my checks as the story was so real and heart-warming. It really brings life home to you. This is a must for anyone looking for a real life like story with family that pulls together....loved every word! heartwarming. Simply beautiful. A bit sad, but i couldnt put this one down. 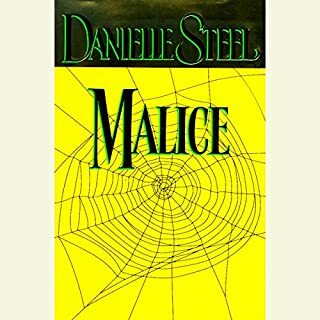 Another good Danielle Steel book--entertaining without making you think too hard. A true guilty pleasure. I tried, I really tried to listen to this book, but it was killing me. All the characters are perfect, but not too perfect, their clothes, food choices, drinking choices are good, but not too good. She's really trying way too hard to make the characters believable. The narrator has a nice voice and does a decent job, but honestly, for a book titled Sisters I would have chosen a female narrator, it might have helped. Well, not really, the character development is...let me put it this way, if I were ten years old I probably would have enjoyed this book. If you like good literature like Dickens, Austen and the great English authors, don't bother. I don't usually read contemporary authors, but I thought I'd give her a try...wish I had read some reviews first. As always...I love Danielle Steel! Loved every minute of the story! wonderful characters and sweet story. You'll love it, too! would recommend to anyone I know.